With the help of our expert team members, we have been able to offer a wide range of Hot Stamping Tape. 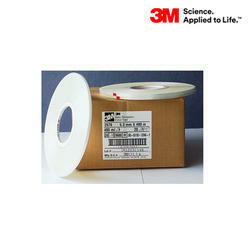 We are engaged in providing the best quality range of Heating Resistance Tape. For Making Sublimation Printing more easy, convinient and effective, we are supplying High temperature Heat resistant Sublimation tape. 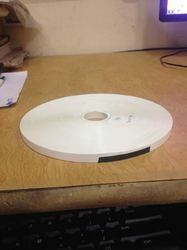 these tapes does not melt even on high temperatures and leave no mark on product after release. this feature make it unaboidable product of sublimation kit. In our wide range of products, we are highly esteemed in tendering excellent quality array of Sublimation Tape that is available at affordable rates. Reckoned as one of the trusted companies in this realm, we are actively involved in offering a wide range of top quality Sublimation Tape. Heat Resistance Kapton Tape is a polyimide film-backed silicone adhesive tape with extremely low electrostatic discharge properties. we are supplying Heat resistant Sublimation tape. Its makes sublimation printing more easy. Heat resistant tape to be used to stick the printed paper on the product while heating it. These tape does not melt on high temprature.